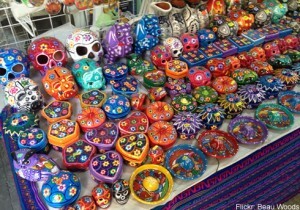 One of the joys of walking around street markets of the world is coming across beautiful, artsy pieces of cultural artifacts and other souvenirs unique to that particular country. 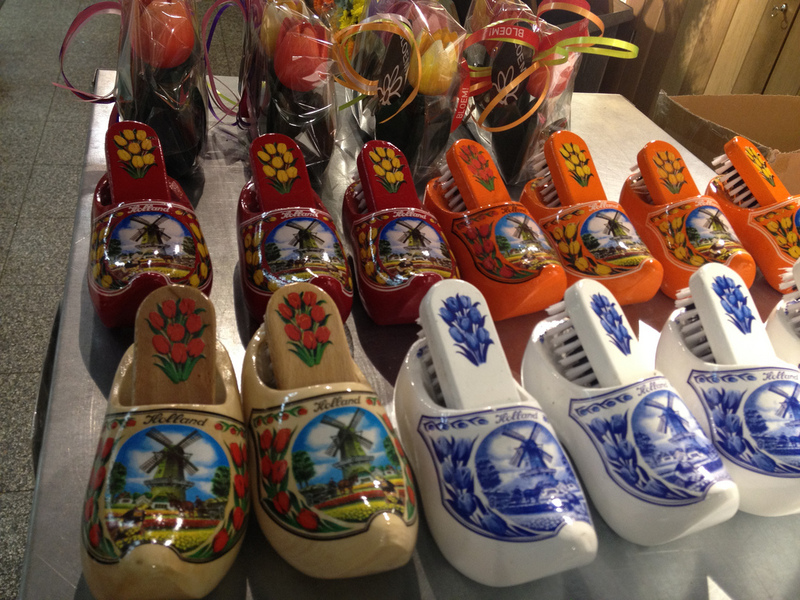 Silk clothing in East Asia, clog shoes in Netherlands, ornately designed lamp shades in Istanbul. We could go on, but you get the idea. Ever wondered about buying and selling these pieces back home to raise money and fund your vacation(s)? It’s one of the ways we like to think a traveler can make money while still on vacation. It’s something we at GTFOutcast have thought about a lot and even done at a few occasions. 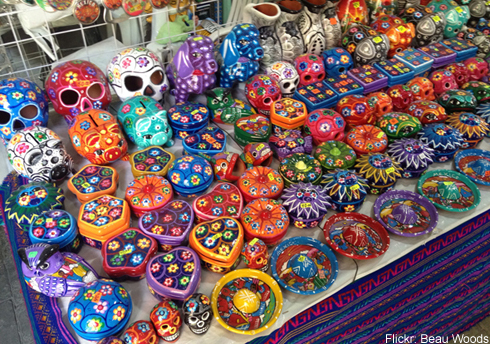 Buy high quality, authentic goods from local markets in Latin America or Asia, and then sell them on eBay or through a vendor back home. Even if you did have to pay customs duty, it is generally less than 10% of the total bill amount you paid (converted to US$). Not to worry, this additional value on top of the price you paid for the goods is negligible if you find buyers still. Say if you bought trinkets from Thailand at $2 a piece, and you find buyers back in America are willing to pay up to $10 or more for something exotic, and definitely an item not easily found in America. Now imagine you bought a 100 pieces of trinkets at $2 a piece and sold them at $10 a piece. At an 80% mark-up, the profits alone come to $800. Sell 200 pieces and you could cover an entire travel budget. Beau Woods is currently in Mexico City and he has been trying to find how to get fresh designs on shirts in Mexico City, ship them back to the US and sell for a profit. Selling goods in your home country back from your vacation is one thing, but how can one sell these goods while they are traveling? By using third party fulfillment for arbitrage to simplify the process. You handle the shipping of goods to a third party vendor, and the partner handles the sales process. You can even do this online by partnering with the right vendor on eBay or via Amazon Marketplace. The third party vendor will charge a fee, but it still saves you money and the headaches of handling sales transactions while on the go. And as per the stipulated agreement, the vendor simply wire transfers the money you are owed. If online isn’t your thing, try contacting your local consignment stores. Just ship the goods via a postal service (or even the expensive courier services) to the consignment store, and they display the goods at their store and act as an agent to conduct the sale. If the foreign country you are in allows it, you could even set up a small booth or a spot at a local flea market to sell your own goods. For example, hippies who came to Goa (in India) used to be famous for selling their creations and unused valuables in a bid to raise money to fund their stay — or even a ticket back home. That’s how the famous Anjuna Flea Market got its start! However you sell the goods — by yourself or online using a third party — you really need to be sure of the demand for such goods. To be safe, for starters, only pick products you know can be easily sold through your network of friends back home. Like all businesses, there is some risk involved. What you find cool, others back home may not. You really don’t want to have a backlog of unsold inventory of goods that have no takers. On the flip side, if in the case you are unable to meet demand, or you end up working with an unreliable third party vendor, that’s a lot of dissatisfied customers. A situation hard to handle when you are in the middle of travel. But if successful, this a great way to make use of your time in a foreign land productively and a means of earning an income while vacationing. Our only advice is you refrain from selling common souvenirs (like fridge magnets, figurines of popular attractions, etc.) that bear the names of a city or country. That’s simply cheating the travel experience for many.